The signature trait of Carlos Carvalhal’s much-improved Swansea City side is a narrow and industrious four-man midfield. 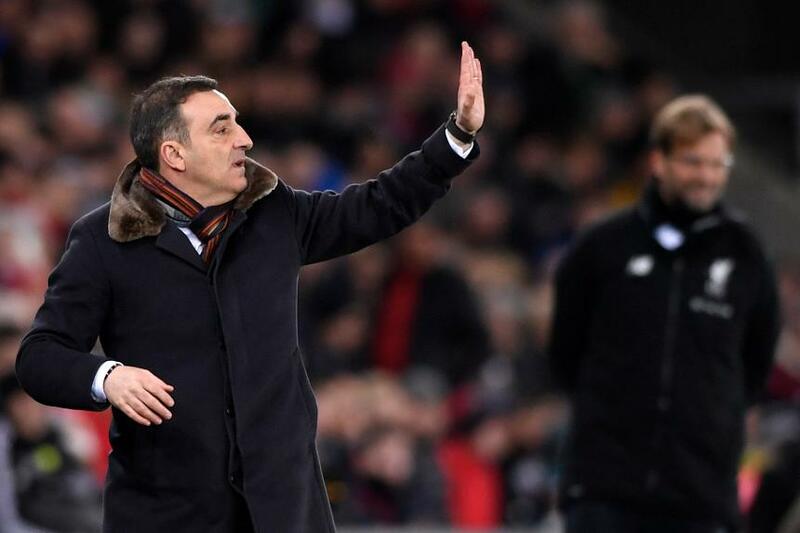 In his first match as manager, at Watford on 30 December, Carvalhal signalled his tactical intent and selected a quartet of central midfielders. That afternoon at Vicarage Road he used Roque Mesa, Tom Carroll, Sam Clucas and Renato Sanches together in a 4-2-2-2 formation. It didn’t especially click. So at half-time he changed shape, adding more width to the side instead. That switch helped turn that contest around with two late goals for a 2-1 win. But it did not deter Carvalhal. Since then he has focused on giving Swansea extra defensive stability down the centre of the pitch by consistently playing a compact four-man midfield. Packing central areas and squeezing the space for opponents who like to feed passes between the lines, his team then open up whenever they gain possession. It’s a ploy that brilliantly nullified both Liverpool and Arsenal in wins at Liberty Stadium. Their most successful set-up has been a 5-4-1. It looks a very defensive system on paper, but a combination of Clucas and one of Nathan Dyer or Andre Ayew help ensure that’s not the case. While they tuck in and stay narrow when the Swans do not have the ball, they spring into life on quick transitions by heading towards the wings or joining in as a second centre-forward. The shape can sometimes appear a little unbalanced, with Clucas less likely to burst into the box than Ayew, but these in-to-out roles suit all three players. The three most successful systems Swansea have used this season have all been tried by Carvalhal. He has developed a formula that is efficient and effective.